Where Did 2017 Take You? I hope everyone had a lovely Christmas and had at least a small break to spend some time with your horse. I just want to ask you to spend some time over the next few days reflecting on how 2017 has been for you. Do you remember those goals you set right back in January? How did you get on with those? Did you smash them? Did you maybe make some progress but you aren’t there yet? Or did you write them off mid-year and tell yourself next year? Perhaps your goals have changed? Personally some of my goals from 2017 are nowhere near at fruition, some of them have changed completely but some have also made great progress. I have opened my studio, set up my classes, worked at some Horse Camps and backed at least one of my ponies-oh and lifelong dream of having an arena came true! I’ve achieved some great things both personally and professionally this year (I’m not just showing off bear with me!) but along the way there have been ups, downs, twists and turns, yet because I had clear plans no matter how small the steps I have kept moving forward and this has given me a head start and clearer vision of where I want 2018 to take me. What went well this year for you and your horse this year? Where would you like to be this time next year? What steps are you going to take to get there? Then it’s time to start planning 2018! 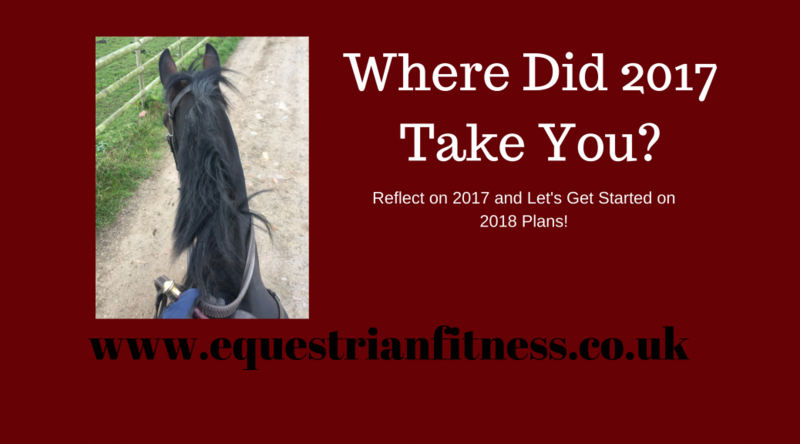 I’d love to hear your 2018 Goals riding and fitness related or otherwise; share them with me and we can be each other’s accountability in 2018. Ok, you have most probably almost all finished for Christmas today-literally no work being done in any offices today! I know those of you that are off work over Xmas will want to spend extra time with your horse and riding. However I’m also sure many of you will be planning 2018 goals and in particular your own and your horses training next year. For your horse I’m certainly no expert there but you? Well that’s who I’m interested in whipping into shape for 2018! I thought what with all the excess food, drink etc. that we have over this period now would be a great time to add in some short workouts to be both damage limitation on the weight factor and also a little head start on the new year fitness. So here are 4 short circuits you can do to keep you ticking over whilst time is tight- they are all just 4 minutes long so there are no excuses for not finding the time! Also, those that know me will know I’m still on rehab training for my shoulders and hips so filming these for you was seriously tough for me-don’t let me down by not doing them! 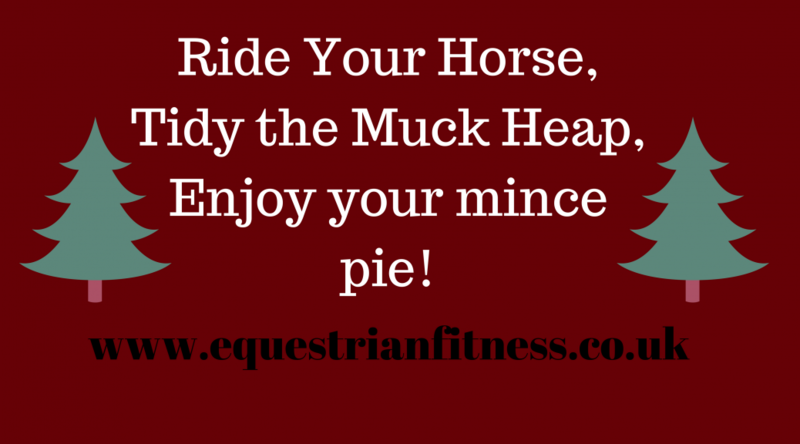 Ride your horse, Tidy your muck heap, Enjoy your mince pie! We are little over a week away from Christmas Day itself so I imagine you are already or about to get into seemingly endless rounds of parties, boxes of chocolates all over the office and being thrown out of your regular routine. I’m not going to go all Grinch and say you should avoid all the mince pies, chocolates and mulled wine this festive season as firstly it would be very hypocritical as I certainly won’t be and secondly you would ignore me anyway! However apparently the average person eats around 6000 calories on Christmas Day! Now if like me you have to do a Christmas Dinner with your own family, then the In laws and add to that Christmas Parties with colleagues and friends that’s a fair amount of extra calories going in. Your horse is not going to appreciate you riding like a weighted slug come January 2018. So, let’s call this damage limitation or maintenance-who wouldn’t be pleased to reach 2018 at least the same weight they left 1st December 2017? Here are some simple tips to help you do just that! If you are short on time, try riding for a little less time but with more focus and intensity. Obviously don’t skip a warm up and cool down, but 20 15-20 mins of continuous trotting and cantering and minimal breaks will have both you and your horse working up a sweat in half the time of your usual ride. 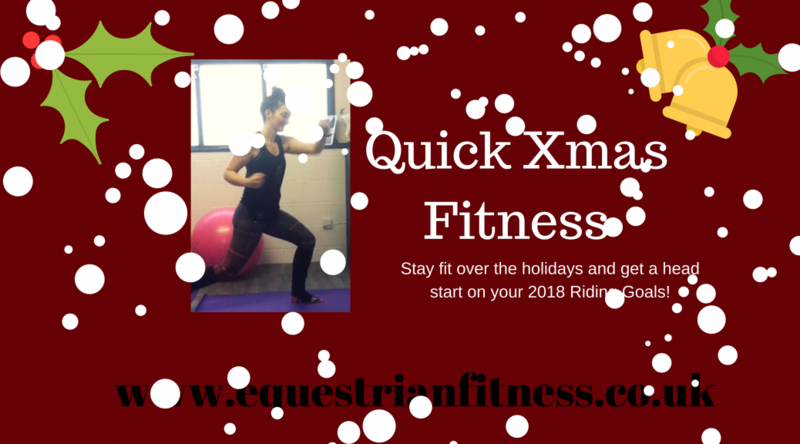 Think of it as HIIT session for you and your horse! Keep to your own exercise regime as much as possible. Even if it means doing shorter workouts, at least try and do 3-4 workouts a week over the Christmas period 20 mins at least. I promise you will find it a million times easier to get back into a regular workout regime – or indeed a new fitness goal regime come 2018. Decide which treats you really want in advance and ignore the others. Let’s be honest it gets to a point where we are eating anything and everything put in front of us. Have an arrangement with yourself that you only really want certain things as an indulgence for example if you can’t be without Mince Pies and Quality Street; fine but skip the Christmas cake and Pringles. Load up on the good stuff. Turkey and Vegetables along with Satsumas, Chestnuts and Dates are abundant at this time of year so fill up on these healthy options so that you are less likely to over indulge on the naughty stuff. You can save the Carrots for your horse though I guess. Christmas is a great time to incorporate more walking into your week. The Christmas shopping alone can be a workout trekking up and down the shops. Also use the extra time off for maybe a walk in the morning or after Christmas lunch. All those extra steps can add up. If you have some time off why not use the time to do those jobs such as a full muck out, tidying the much heap or sweeping the yard. All guaranteed to work up a sweat if you do them at a time saving brisk pace. So ride your horse, tidy the muck heap, eat your vegetables and enjoy your mince pie! After last week’s looking at the front of the body, this week let’s take a look at the back. 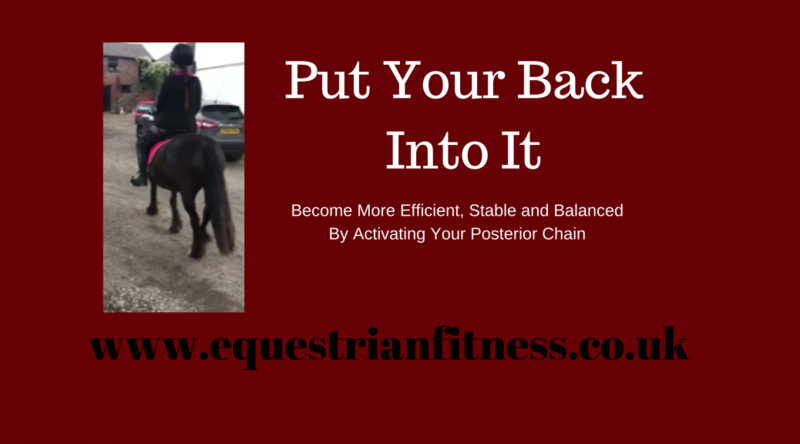 As mentioned our posterior chain can spend a lot of time being stretched and lengthened throughout the day and unfortunately over time this can make it kind of weak and lazy. This can cause us to over use the front of our bodies when we ride and pretty much disregard the back altogether! This makes us not only inefficient but also lacking the strength to truly absorb the force of our horse and therefore remain balanced and stable. The first step to using the posterior chain is bringing our awareness to it. Now I know that you know you have a back etc. but can you activate it’s muscles on their own or move parts individually? It is this level of body control that great riders possess that makes things seem much easier for them-it is easier for them because they have more efficient bodies but that means with a little work it could be easy for the rest of us too! Firstly, let’s look at some spinal articulation. This involves rolling through the spine as if you were able to separate each vertebrae and being able to isolate either the upper or lower spine for movement. The purpose of spinal articulation is to bring fluid to the vertebral discs in order to keep them healthy and mobile, as well as further encouraging that mobility by moving the spine through flexion and extension and maintain the individual movement of each vertebra. Remember your spine is not a block of wood it shouldn’t move as one solid plank, think of it more as a chain with connecting links that can all move separately as well as together. It is all of these tiny movements that absorb the force of half a ton animal underneath you, a rigid spine cannot do this. Now we have got the spine moving let’s look at activating the big muscles of the posterior chain-the glutes and hamstrings. These muscles are fundamental in ensuring good posture and a pain free back and hips as they are a major supporting role here. They help to maintain stability of your spine and pelvis whilst they are busy absorbing all that force. They are also where you create power to help ride your horse forward. In rising trot it is said that the rider should at least match if not exceed the thrust of the horse going forward in order to be with or push forward the movement. That is going to take some serious booty! We are going to use the Bridge position again for this however the execution is slightly different. In order to ride completely in balance we should be the same length at the front as at the back. 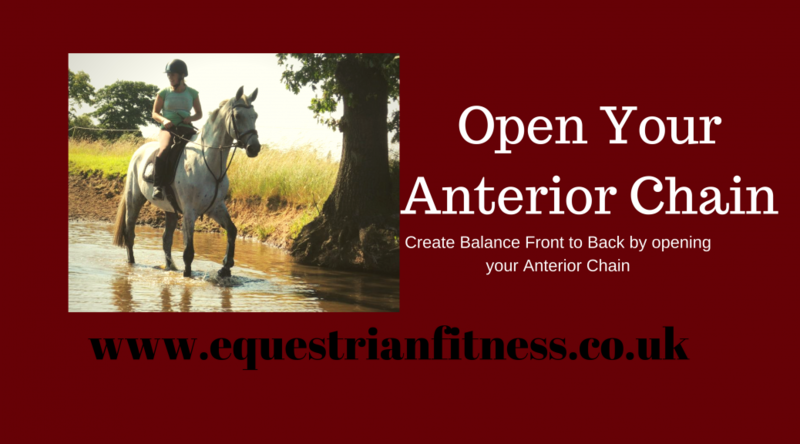 Not only does this create good alignment and therefore balance and stability but also enables efficient use of the body to give clear aids to your horse. The very nature of our daily life means we spend a large part of our day hunched or leaning forward. We may sit at a desk for our day job and therefore sit round shouldered, or maybe you spend a lot of time driving hunched over a steering wheel. 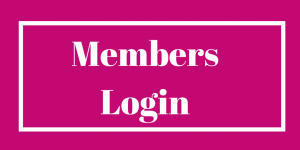 When we get to the yard or indeed those who work with horses all day, we again muck out; leaning forward throughout onto leaning over to make feeds, sweep yards, pick out horses feet……..the list goes on! I also see a lot of riders who although on appearance seem to be creating a very nice picture, are actually riding very much with the front of their body only. This may come from wanting to use “the core” as when we say this we think of abdominal crunches etc. However our core is actually all the way around our torso front and back, so to make use of it fully we need to be activating in the front and the back. To create the right environment for us to begin using this “back core” area we must open up the front of the body to create the same length at the front as at the back. If we are short and over active at the front this in turn means the back is long and underactive. By creating more length at the front we allow the back to shorten and encourage it to activate the muscles as part of the core. Here is a short yoga flow to help you open up the full anterior chain of chest, abs and hips and quads.